Arachnoid cyst can be defined as cerebral-spinal fluid entrapment within the central nervous system. It may occur primarily as a congenital malformation or secondary as a complication following trauma, infection, bleeding, or surgical manipulation. The present case has been reported in the Asian Journal of Neurosurgery. 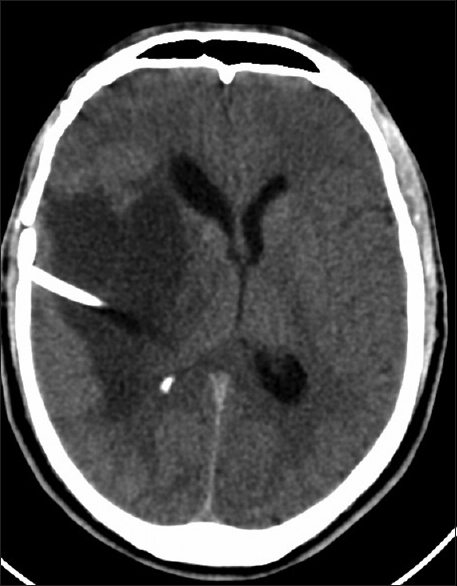 A 39-year-old man presented to the emergency room (ER) with acute onset headache of 3 weeks' duration complicated with vomiting and fits. 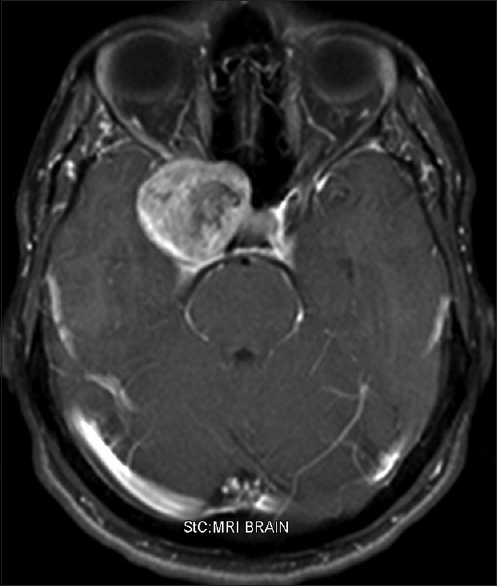 He had a surgical history of previous incomplete resection of right medial sphenoid wing meningioma, 3 years ago. Surgery report justified incomplete resection due to intraoperative severe hypotension. 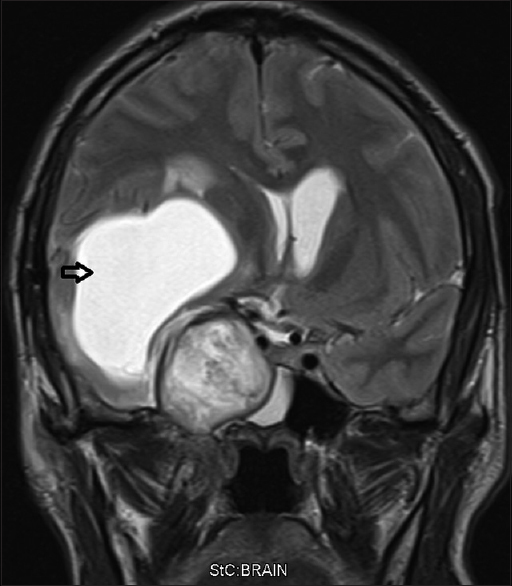 Computed tomography (CT) brain and then magnetic resonance imaging (MRI) brain with contrast showed right-sided big temporal cyst with severe mass effect and impending uncal herniation associated with increasing size of the right medial sphenoid wing Space occupying lesion. The patient was admitted from ER and received dexamethasone and loading dose of phenytoin and then maintenance dose. After patient stabilized, it was decided to treat the symptomatizing big right temporal cyst by cystoperitoneal shunt as a first stage. 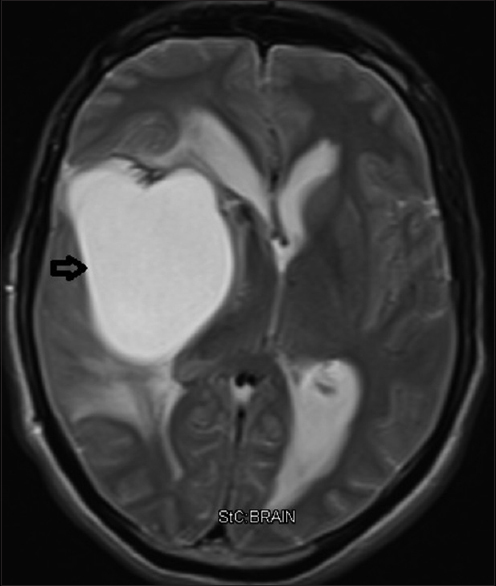 The cyst seemed to be progressively enlarging postoperative acquired arachnoid cyst as evidenced on F/U MRI brain study; preoperative and postoperative.